Located in the Magellan Straits, about 35 km from the city of Punta Arenas, this wild area was made a National Park in August 1966, and was re-classified as a Natural Monument in 1982. The purpose of this natural reserve was to protect the birdlife of the area such as penguins, cormorants and gulls. 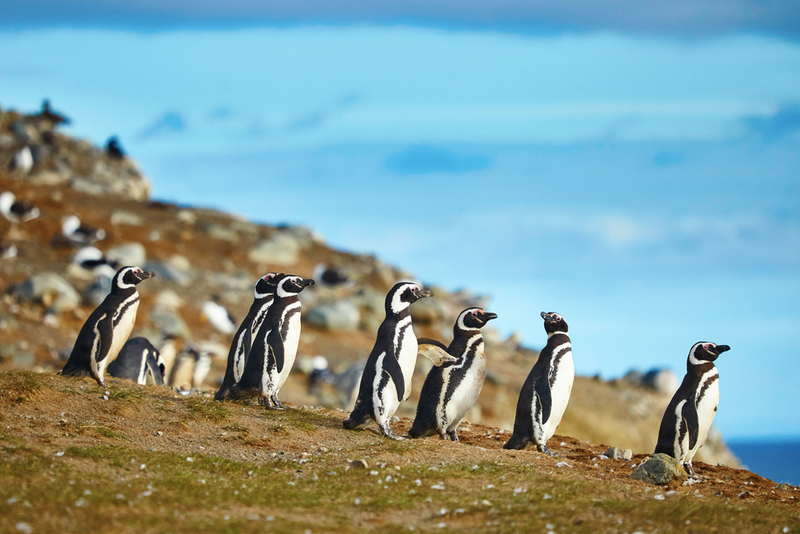 Here you can see the largest penguin colonies in southern Chile with a population estimated at 60,000 pairs of Magellanic Penguins, which make up more than 95 percent of the birdlife. On the island, the thousands of pairs of penguins return to nest year after year in the same burrows. The majority of them are to be seen, occupying the whole island, between October and March, making it a unique and unforgettable sight.